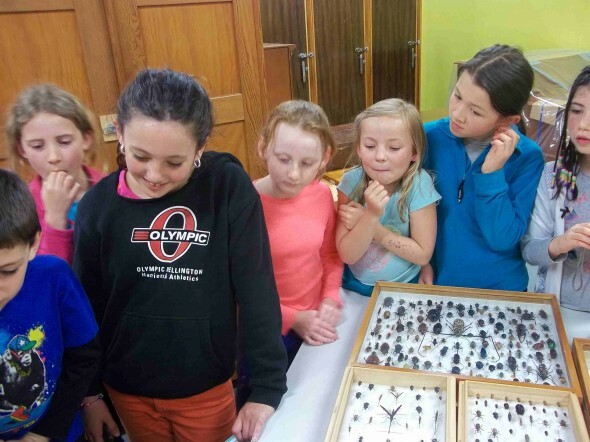 Readers may remember that as part of sunfish science extravaganza, a group of Khandallah School students won our competition to name the fish. 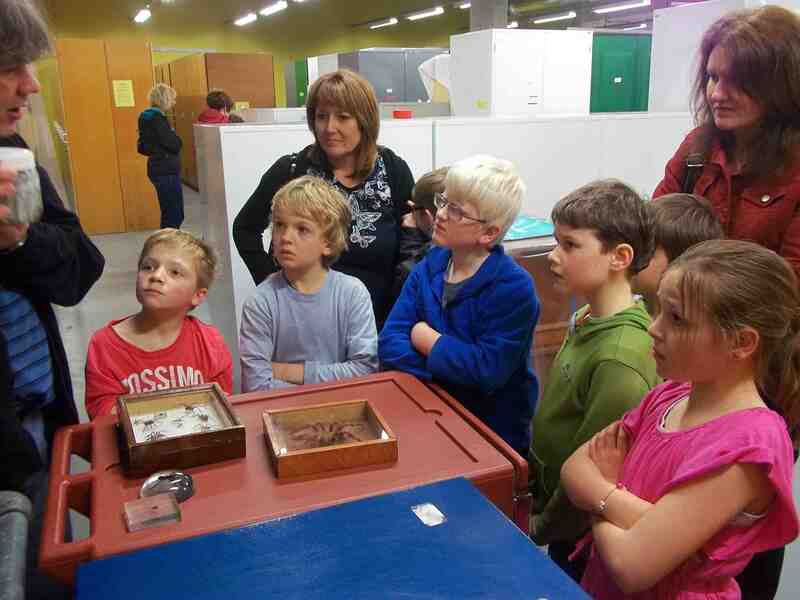 Their winning name was Sunny Bill, and this morning they visited our natural history collection as part of their prize. 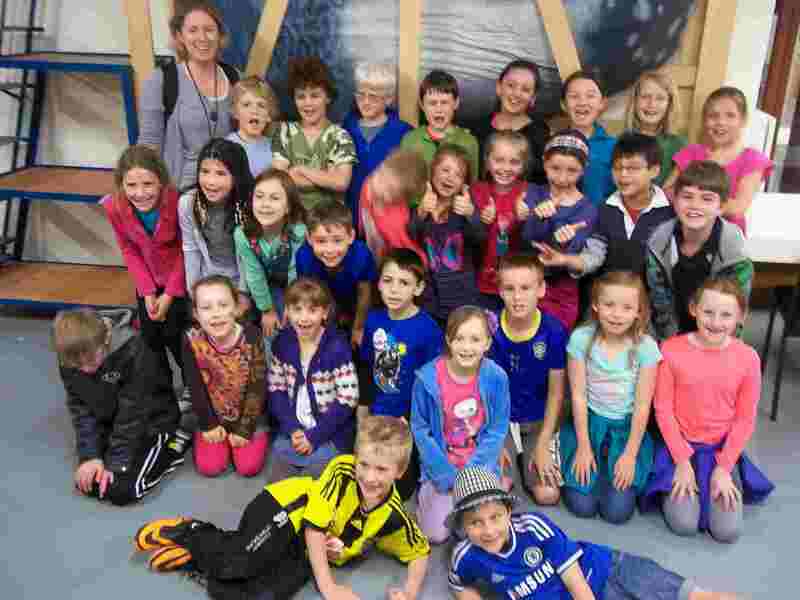 The 28 students from room 5 arrived at the Tory St building buzzing with excitement – and the 7 adults who escorted them were eager to see ‘behind the scenes’ as well. After a quick head count we descended into the bowels of the building to explore some of the amazing collection that is held there. 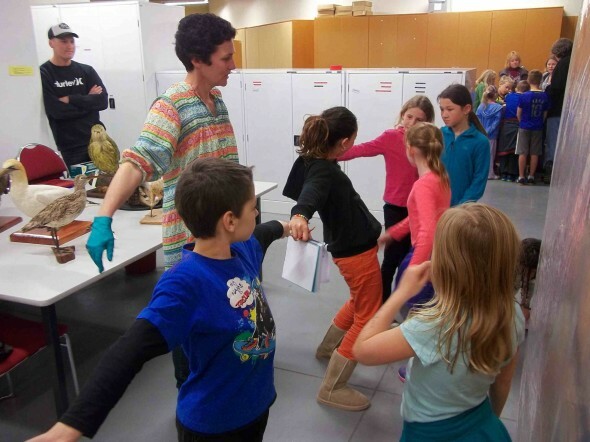 In small groups, the students cycled through 4 different stations where they met four of our scientists to learn more about the animals that Te Papa holds in its collection. First up, the groups met Susan Waugh, who talked to the students about birds and their different feeding behaviours – using some famous NZ birds as examples. The children learned how godwits use their long skinny beak to eat insects and that they fly halfway around the world and back every year! 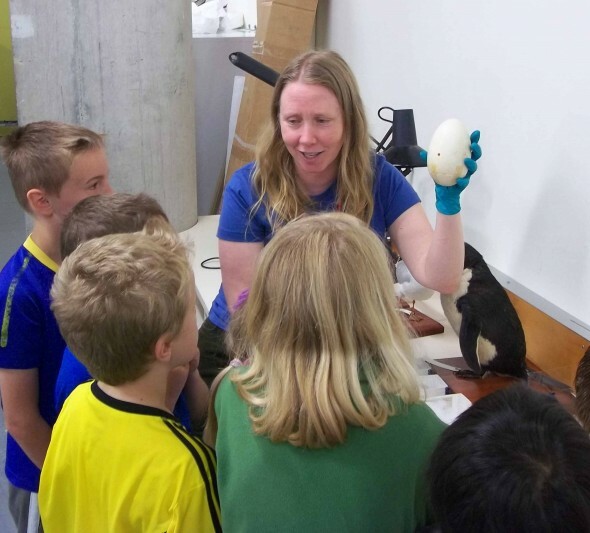 Susan also helped the students discover just how big an albatross can grow – their wingspan is as wide as 3 students stretched out holding hands!! 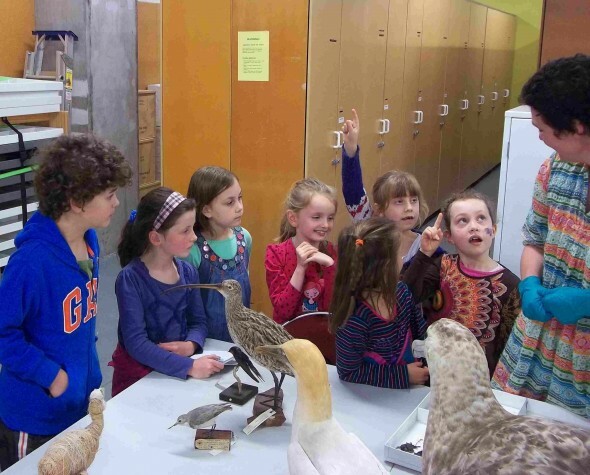 Room 5 also learned about kakapo, tui and kahu and walked away ready to become ornithologists themselves. The groups then met Sarah Jamieson who showed students birds and their eggs – and what we can learn about birds from their eggs. 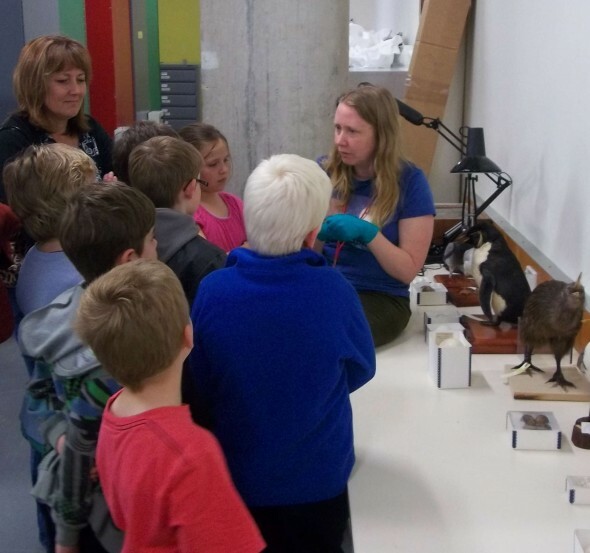 They were amazed by how big a kiwi is and thought the tiny rifleman and their eggs were super cute! Sarah explained that birds that hatch from bigger eggs often hatch with feathers at birth, while most birds that hatch from little eggs do so with no feathers and are blind and simply ‘get fed and poop’. Students also discovered that most ground-laying birds have brown speckled eggs to help them stay hidden from predators. 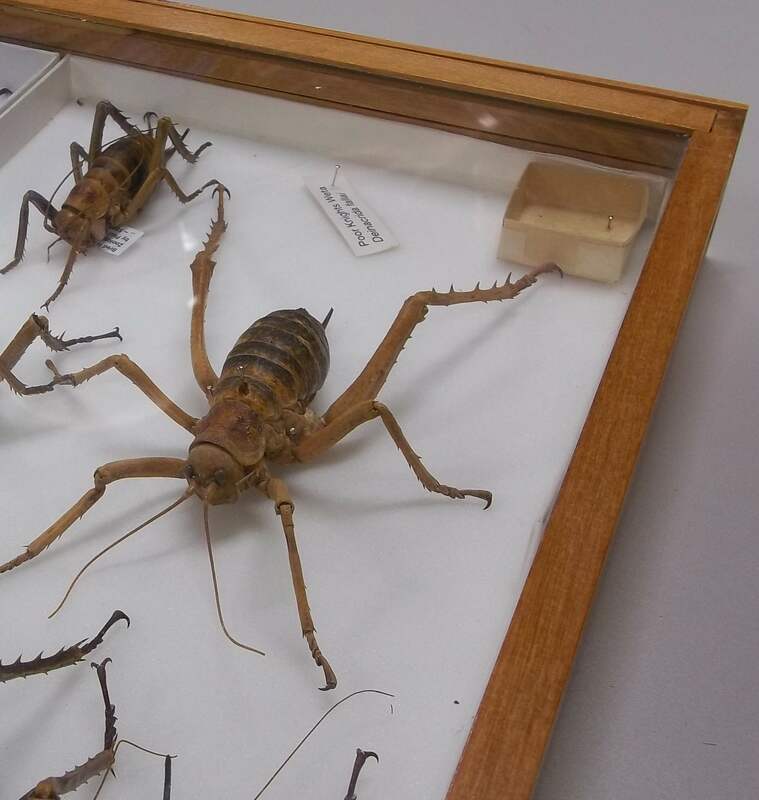 Invertebrates curator, Ricardo Palma, then showed the children some of Te Papa’s insect collection – from NZ’s giant weta down to tiny fleas. 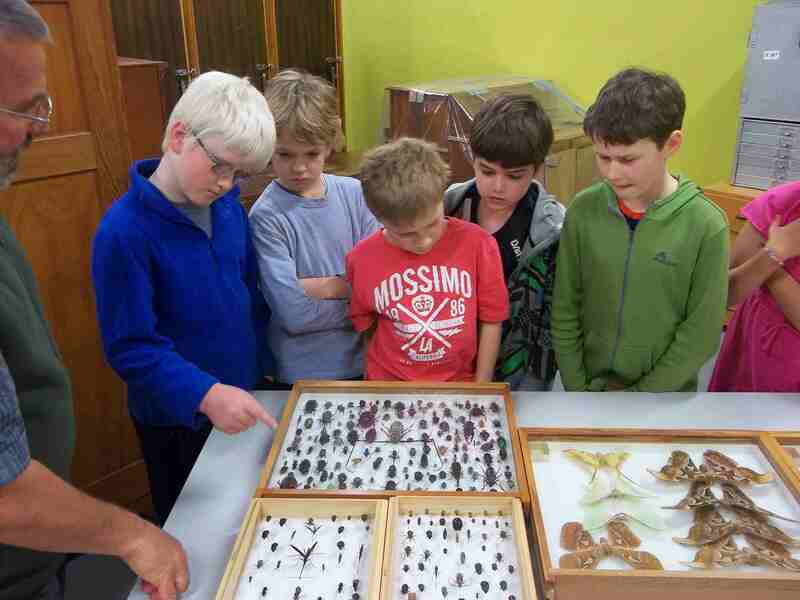 During this talk students learned that male butterflies are the pretty ones because the females choose a male based on how impressive their colours are. Some male beetles on the other hand have large horns and jaws to fight each other to impress females. 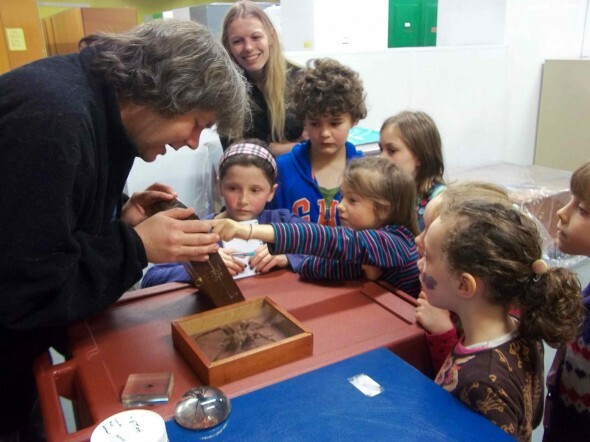 Finally, Ricardo explained that the best way to distinguish a moth from a butterfly is to look at their antennae – butterflies have skinny antennae with a ‘club’ on the end and moths have shorter antennae that often look like feathers. Lastly the Room 5 met Phil Sirvid, who explained he was an arachnologist – or someone who studies spiders. Students learned about New Zealand spiders such as the white tail spider, tunnelweb spider and katipo and were amazed that this tiny spider was also NZ’s most dangerous. After learning about the katipo they were introduced to its Australian ‘cousin’ the redback which is bigger and more venomous. It was also with great relief that Phil told them the funnelweb – which can kill a human in less than hour – only lives in Australia. The final spider encounter was with a bird-eating spider from Brazil – a spider that can grow to have a whopping 28cm leg span! Sadly, the group could not actually see Sunny Bill, as he was is a tank of formalin as part of the preserving process and will be for a wee while longer still. We did however show the students a model of a sunfish so they could see just how big these amazing fish can grow and we rounded off the visit with a photo next to a 3m sunfish model. 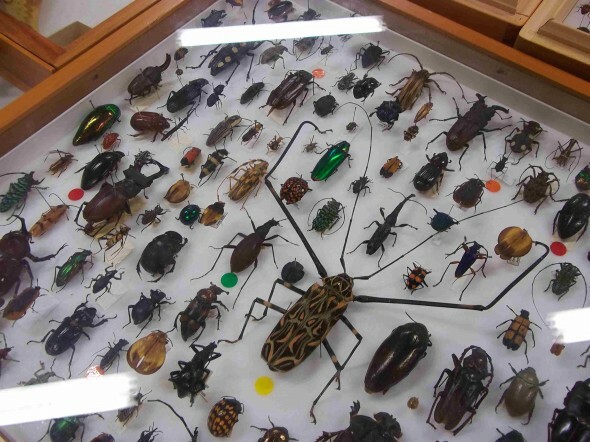 In the coming weeks some of the students from Room 5 at Khandallah School will be contributing to Te Papa’s blog to tell you what they learned from their visit – and I for one cannot wait to read them! I’m from room5, I must agree with all the things Scott has stated. 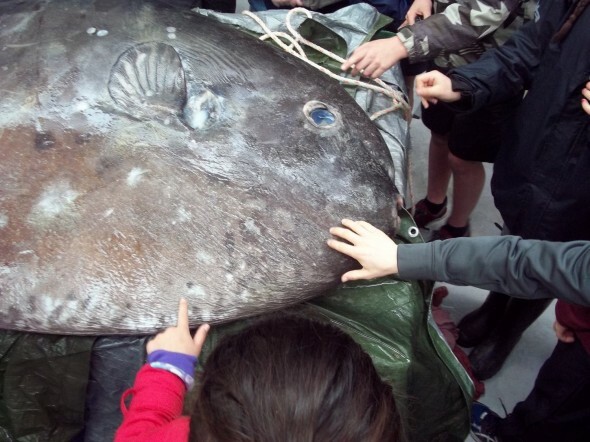 it was another school that touched the sunfish. Thanks Jayden – I’m glad I got it all right! And you are correct, it was Brooklyn School that got to touch the sunfish – before it got put into the chemical, formalin.